conveniently sent to your email address, then join his mailing list. It's easy! 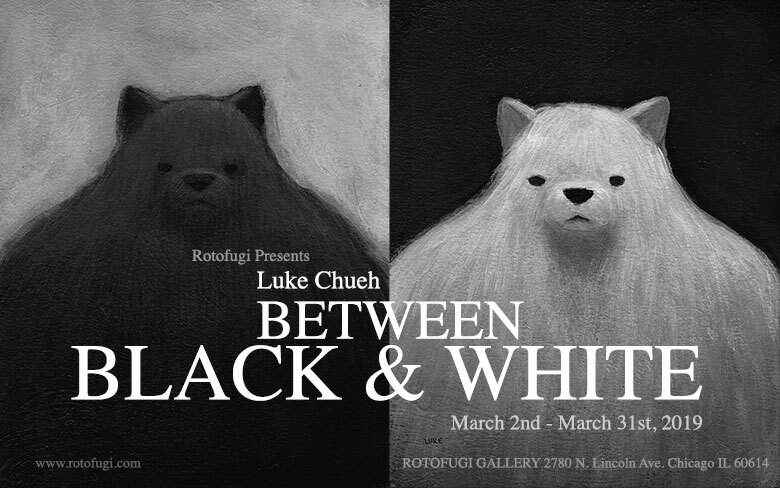 Rotofugi Gallery presents "Between Black & White", a collection of 28 new paintings and drawings. For this show, I used this opportunity as a chance to experiment with new painting techniques in an attempt to evolve my visual lexicon. I felt that working with limited color palette would inspire me to turn toward texture and composition to express myself. For some of the paintings, I consciously revisit familiar themes, while also trying out some ideas that are completely new to me. As the title implies, this show is a collection of black & white paintings and drawings. Please check back regularly for new information, or join my mailing list for monthly updates concerning future shows, products, and other events. 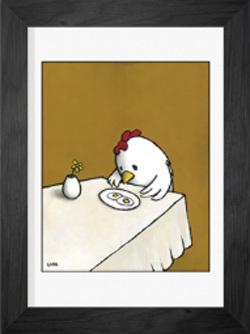 It's taken me 10 years to finally get an online store going, but better late than never right? I plan on creating an selling apparel, totes, resin sculptures, small run customs, and more. Please come and check out what I have to offer. Please check out my blog for all my latest paintings, sightings, happenings, events, clever thoughts, and anything I basically find interesting enough to type out. Keep up with what I've got going on with Twitter & Facebook! 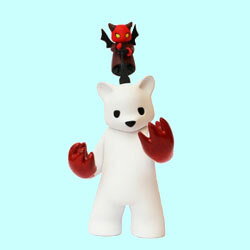 LUKE CHUEH & MUNKY KING PRESENTS "POSSESSED 10 YEAR ANNIVERSARY EDITION"
Munky King and I are proud to present the 10 year anniversary edition of "Possessed". I can't believe it's been 10 years. This is the 2nd run of the release. The first sold out in one day. Make sure you grab one now. Nucleus Gallery and I have produced an exclusive giclée print of my painting "Hare Cut", to celebrate the release of my book "Bear The Unbearable". HARE CUT: (13" x 17") Signed/Numbered - 100 prints. 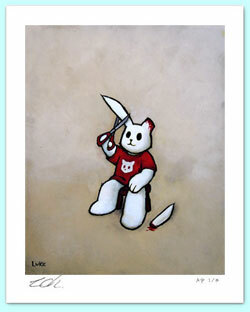 Corey Helford Gallery and I have produced a bunch of exclusive giclée prints from our previous shows. I've teamed up with Eyes On Walls to release a series of super slick, open edition prints! 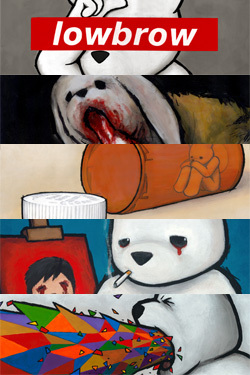 They've already released some of my better known paintings, plus the first half of my "You Are What You Eat" series. The second half of the series will be available in 2015 along with some other classic favorites.